This shredded Mexican chicken is a versatile recipe that you can use as your next tacos filling. It’s full of flavor and spiciness. 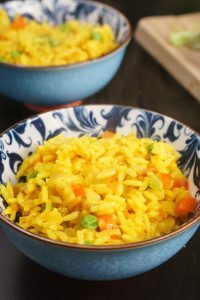 This is a great recipe to prep meal in case you like to plan your week ahead. It’s reheat friendly. Thanks to the Mexican sauce that is formed when cooked, the chicken won’t be dry at all. Personally, I found very handy to have a portion of this shredded chicken for my quick weeknight meals. You can use it in a chicken macaroni salad, in zucchini boats or even with some arepas. How much time does it take to cook this chicken in the slow cooker? This is the golden question when cooking in the slow cooker: time. Slow cookers are known for the capacity to make any piece of meat extra tender and moist. At first glance this is a good thing but if we let the chicken too much time cooking it will end up so tender that will fall apart into teeny tiny pieces. Remember that there is a slight variation of cooking time according to the slow cooker model you have. I have a pretty standard Crock-Pot SCV400RD. This way we get tender chicken that can hold its shape, and not a chicken cream. How to get the “Mexican” flavor? This mixture gives me a lot of flavor without any artificial flavor. Put all the ingredients into the slow cooker. Place the chicken at the bottom so the crushed tomatoes and the seasoning cover the chicken while cooking. Cook on low 5 hours or 2.5 hours in high. 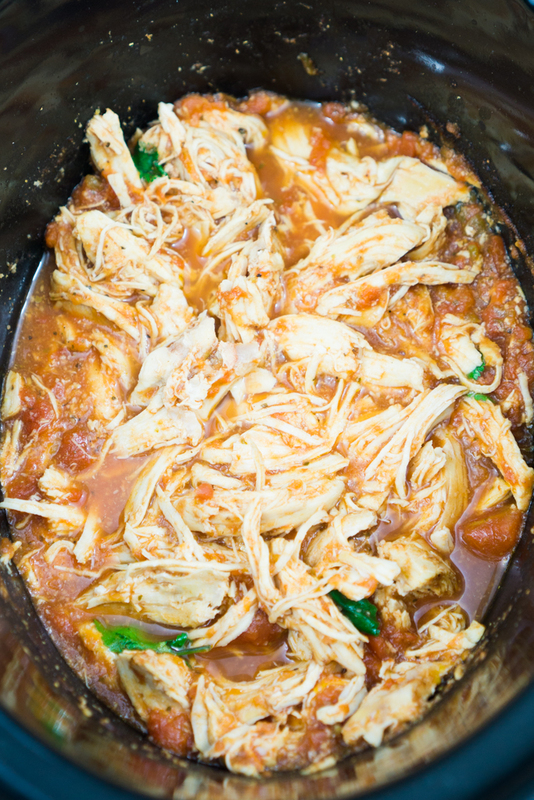 With the help of 2 forks, shred the chicken and take it back to the sauce that’s left in the slow cooker. Remove well and serve or store.